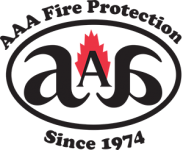 For Danville businesses concerned about the California Code of Regulations - Title 8, Section 6151 requirements, can find expert services through AAA Fire Protection Services. Our high-quality fire extinguisher services meet and exceed the California fire code. We work with companies in Danville and throughout the East Bay area to deliver comprehensive fire extinguisher services that keep your company in compliance at all times. If you are a Danville business and have received citations for fire extinguisher deficiencies, then just give us a call at (800) 543-5556. Our experts work efficiently to bring your company back into compliance. Our services are top notch and our pricing is affordable. We offer annual fire extinguisher inspections and a full fire extinguisher sales team that help you choose the correct type of fire extinguisher for your business and industry. Fire extinguishers must be inspected each year by a professional company. We'd like to be that company for your business. We bring over 40 years of experience and a long history of being honest and working with integrity. For more information, give us a call at (800) 543-5556.